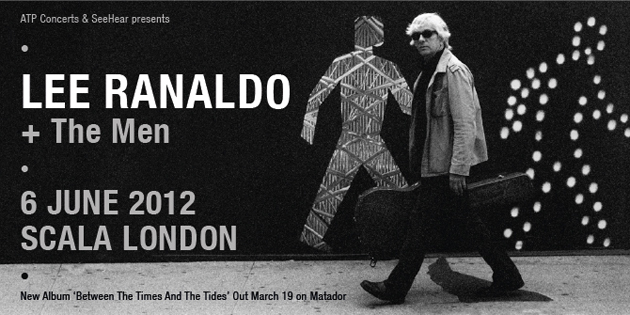 Lee Ranaldo and a lineup featuring Steve Shelley, Alan Licht and Irwin Menken will be touring in 2012 in support of Lee's new solo album on Matador entitled 'Between The Times And The Tides' - ATP will present the band live at London's Scala on Wednesday 6th June - tickets are on sale now. We can now confirm the very exciting support for the show in the shape of excellent NY quartet The Men. You can check out their recently released new album Open Your Heart at Spotify.